Throwing Light Upon Other Web Development Tools. 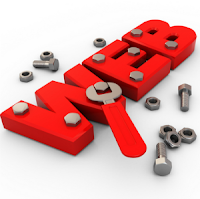 We are all aware of the inevitable need of a powerful web development tool these days. The market is captured by bigger development tools these days. There are smaller tools as well which are just as efficient and useful as the bigger guns. Naming a few, there is Moodle, Kentico, Microsoft dynamics CRM and many more. Even developing a website using these requires expert knowledge. TechnoScore recognizes the power of these tools and offer reliable and professional services. Alike all of its services, TechnoScore’s this service has also gained much appreciation all across the globe. Moodle is an open source eLearning software which helps educators in creating online course with the aim of promoting interactive learning. Developed by the big daddy of the computer world, Microsoft, this tool offers complete customer relationship management solution. It comes in four versions and can be customized easily with its high-end extensions. Kentico is a powerful CMS which is used for building websites, eCommerce stores, intranets and many more. It is an SEO friendly web development tool which helps you in improving the ranking of your website. With its multi lingual option it becomes extremely easy to promote your business globally. You will find a complete one stop solution for all your development queries regarding Moodle, Kentico and Microsoft dynamics CRM at TechnoScore. Our developers possess the qualities required to use these software to their full potential and are capable of providing on-time services.